← Elliott Erwitt at the Lu.C.C.A. Bicycle lovers will all know what the historical Eroica is and many over the world have certainly wished to take part in it. 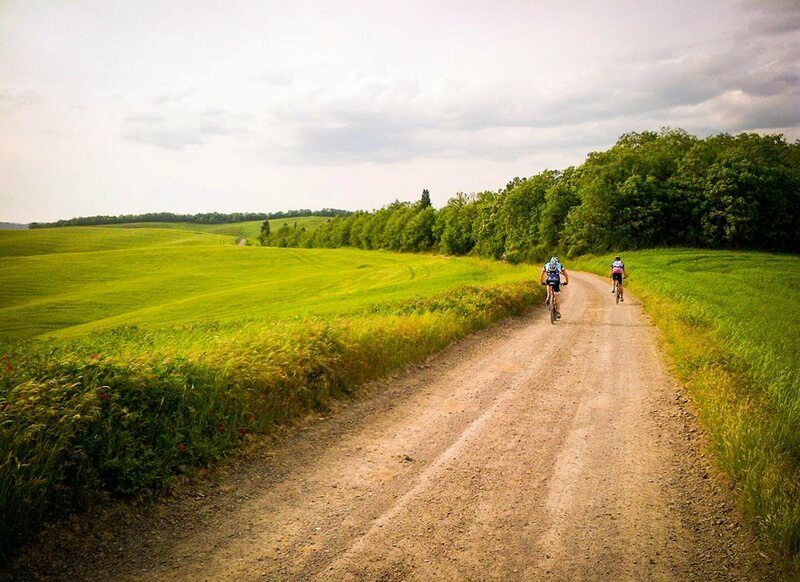 For those who have never heard of it, it’s a historical cycling event which takes place south of Siena on the white gravel roads crossing the Val d’Arbia, Val d’Orcia and the Crete Senesi, some of the most beautiful landscapes of this magnificent region. 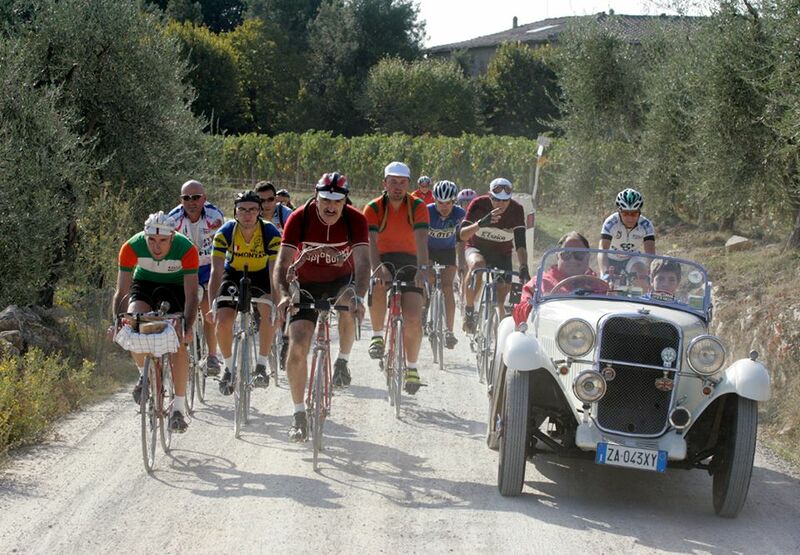 The Eroica is run in October on a 209 km (130 miles) route and the 2014 edition saw over 5.000 people participate. 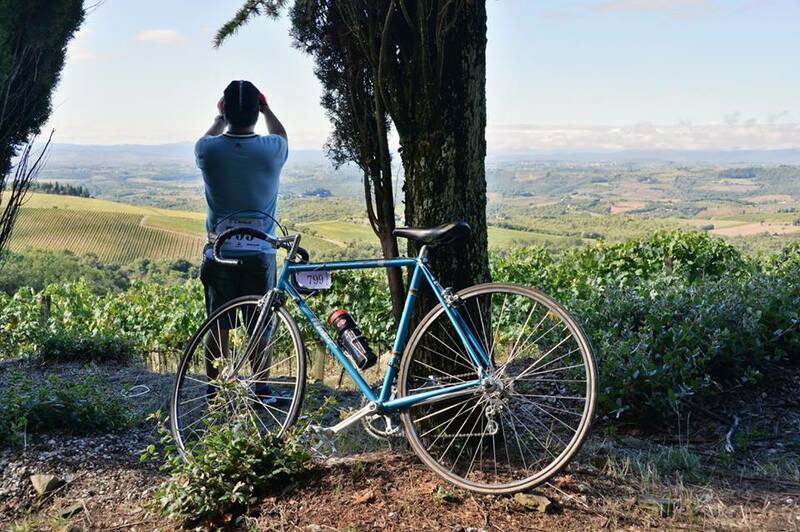 Now on May 3rd is the Spring version’s turn with four routes leaving from Buonconvento and spreading out across the vineyards of Montalcino, passing by Bagno Vignoni, San Quirico d’Orcia and Pienza. The length of the four routes vary: the Long Route is 158 km (98 miles), the Medium Route 102 km (63 miles), the Short Route 56 km (35 miles) and the Leisure Route 27 km (17 miles). 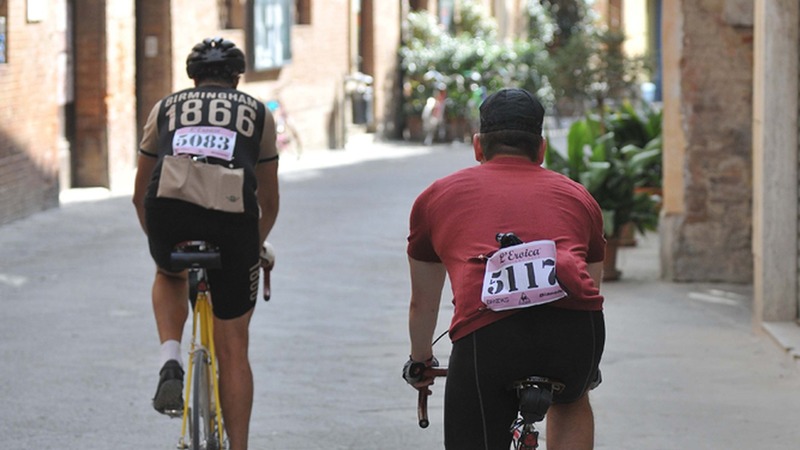 Both events are for road racing bicycles and reserved only to cyclists wearing vintage cycling or historical clothes and riding vintage-style bikes. Not a very comfortable race, then, especially considering the roads covered. 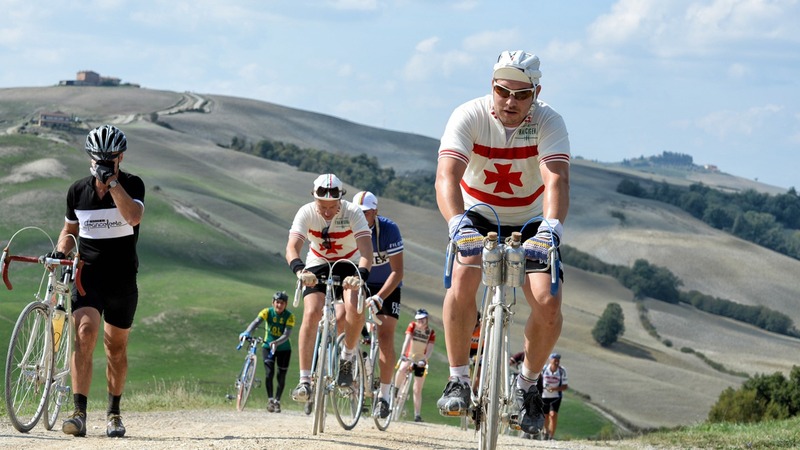 However, the Eroica Primavera it’s not only for cyclists. Along the walls of Buonconvento visitors will find a vintage bike market with clothes, bikes and accessories but also a typical Tuscan market with local food products and wine as well as handicraft. Furthermore, a walk on the surrounding hills will be worthwhile, especially in this period of the year when they are covered in lush green grass and bright yellow broom. 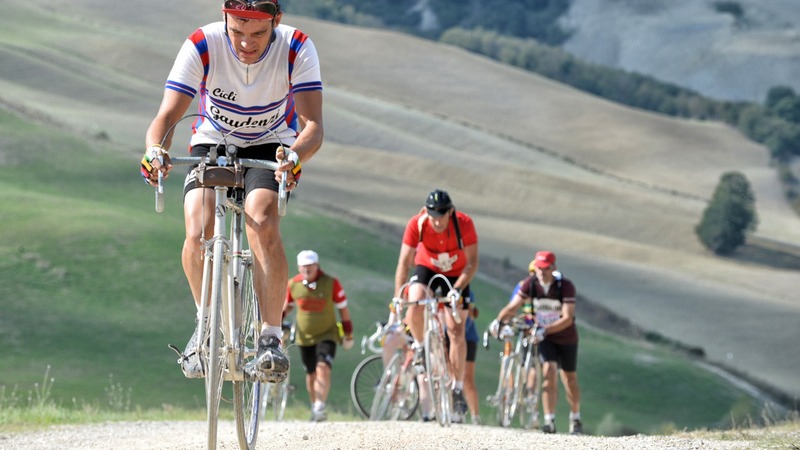 Both the Eroica races are certainly an experience which can convey the heritage that inspired the history and sport of these regions. The creator of the race, Giancarlo Bocci, not only wanted to safeguard this legacy but also preserve the last gravel roads in Tuscany, the same roads that today make this territory so precious and highly valued. Questa voce è stata pubblicata in Events in the Crete Senesi, Events in Tuscany, Events in Valdorcia, Sports, Tuscan lifestyle, Tuscany e contrassegnata con Bagno Vignoni, Buonconvento, Crete Senesi, Eroica, Eroica Primavera, Giancarlo Bocci, Montalcino, Pienza, San Quirico d’Orcia, Val d'Orcia, Val d’Arbia. Contrassegna il permalink.